But of course, you already know all of this. You know all of this because, aside from not living under a rock for the past 30 years, your little one can recite the entire plot, the entire script, the entire backstory of Superman. And does so, frequently. In the shower, before bed, on the way to school. How fun for you! So you know, of course, that young Clark Kent grew up in Smallville not knowing of his secret past. And of course you have spent countless hours over cereal discussing how eventually, that mild-mannered man would take on the title of Superman and make it his business to save Metropolis and the world! So this really seems like a no-brainer. Suit your little guy up with this Child Deluxe Superman Costume and he can finally live our his tiny superhero dreams. 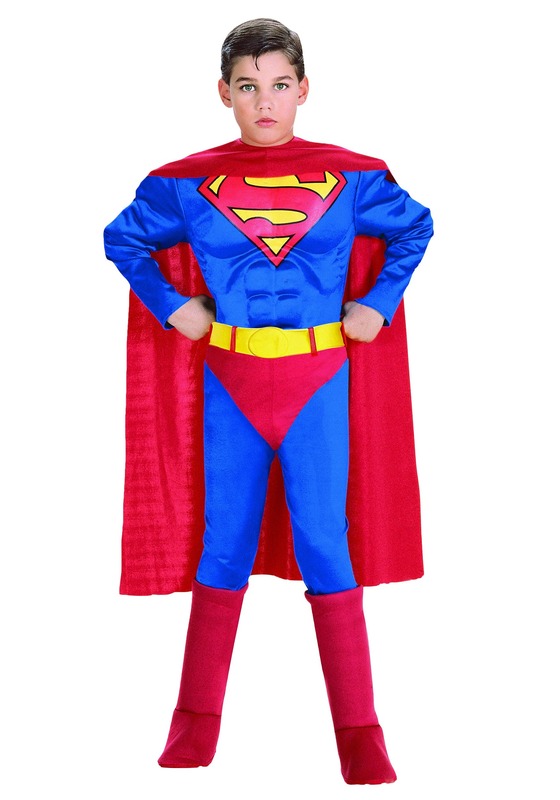 With a padded chest and the signature royal blue and cherry red hues (not to mention the iconic “S” insignia), this classic costume may just strike your little man of steel with such awe that he becomes, at least momentarily, speechless! BONUS: After Halloween is over and done, your fella can carry this costume around with him, just in case he needs to head into a phone booth to make a fast change!